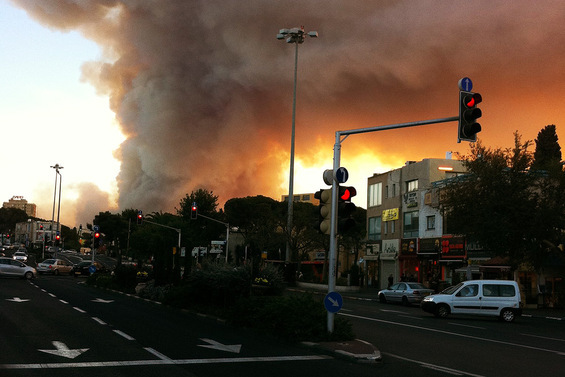 For many of us in Boston, we have felt a pain and anxiety knowing what is happening to our friends in Haifa, as they struggle to contain a wildfire that has consumed over 5,000 acres of forest and claimed 42 lives. Although being in Boston puts all of us far away from the immediate danger of the blaze, I want to share with you how being a Bostonian at this time presents its own challenges, as well as fantastic opportunities to help, even from a distance. Mount Carmel is an extraordinary place. Indeed, it is one of the many treasures in Haifa that makes that city so beautiful. Personally, I have many memories of the mountain, particularly the area around Beit Oren Kibbutz where the fire first ignited. 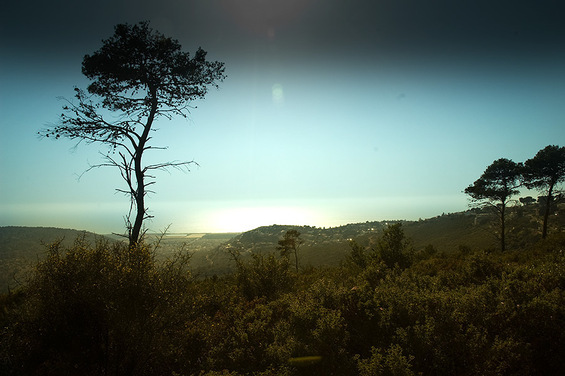 While hiking the Carmel trails, I discovered that the lush greenery and spectacular views of the Mediterranean provided the perfect atmosphere for me to forge life-long friendships with both Americans and Israelis living there. Additionally, my friends and I drove through the area countless times, whether taking the back way to Tel Aviv, or simply escaping for an afternoon to visit the beach in Atlit. The terrain is iconic. The steeply sloping green hillsides meander their way down an almost ten-kilometer path into the sea. Their beauty is inseparable from my memories of Haifa. The mountain is an expression of contrast; dark green deciduous trees springing out of the rocky gray earth and the reflective blue waters 500 meters below. 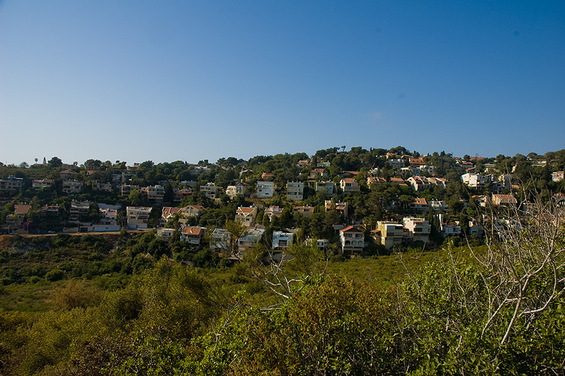 A depiction of the mountain is usually one of the first ways that I describe Haifa to someone who has never been there. The mountain is also a place that many people call home. A lot of my friends live at Haifa University, which is near the top of the mountain. When I think about Haifa, I think about the deep and enduring friendships I have made with people in that city. I speak with people in Haifa on a weekly basis. Often we talk simply about what is happening in our personal and professional lives. We catch up on the good things that have happened to our mutual friends in both cities. We share jokes, photographs, ideas, memories, and laughs. I am close with them in spirit, and I know that these emotional bonds surmount the geographic distance between us. They are also the reason I continue to go to Israel, year after year. I found out about the wildfire through them, rather than through the news. A friend of mine, Adiel Elhadad, sent me the following picture he snapped on his iPhone while driving through Horev Center, a busy neighborhood about half-way up Mount Carmel, and the major junction between the port, the beach, the University, the Technion, and Haifa Bay. It was a horrific picture because of a bright yellow and red ball of fire that took the place of the sky above the rooftops. But it was also horrific because I imagined my friend waking up in the morning and encountering that scene first-hand. In Boston, I at first felt powerless to do anything to help Haifa to contain the disasterous blaze. I simply watched as the pictures and video rolled in. I reached out to my friends to make sure they were okay. They told me that they were, but that I would encounter a “black forest” when I arrive in Haifa in March. One of them said he was seeing the smoke all the way from his office in Tel Aviv, 100 kilometers away. I wondered how I could make a difference. Thankfully, CJP established the Haifa Emergency Relief Fund, which has sent over $200,000 in aid to Haifa. It is, right now, one of the most important ways that those of us in Boston can connect with and help our friends in Haifa. It is the way that we can make a difference right now in that city. Giving to the Fund has helped me to feel more in control of my own fears because as I witness the situation from Boston, I know that I am helping to resolve it. I ask you to help as well. If you have already given to the Fund, or have given your time or support in any other way, I want to thank you personally. If you have not, please consider doing so by clicking right here. I want to stress that you can be a part of the effort to contain the fire, even from Boston. The Fund is one of the best ways to do that. Also, please reach out to those you know in Haifa. Let them know that we are there for them and that we are doing what we can here. This also makes a tremendous difference, I assure you.